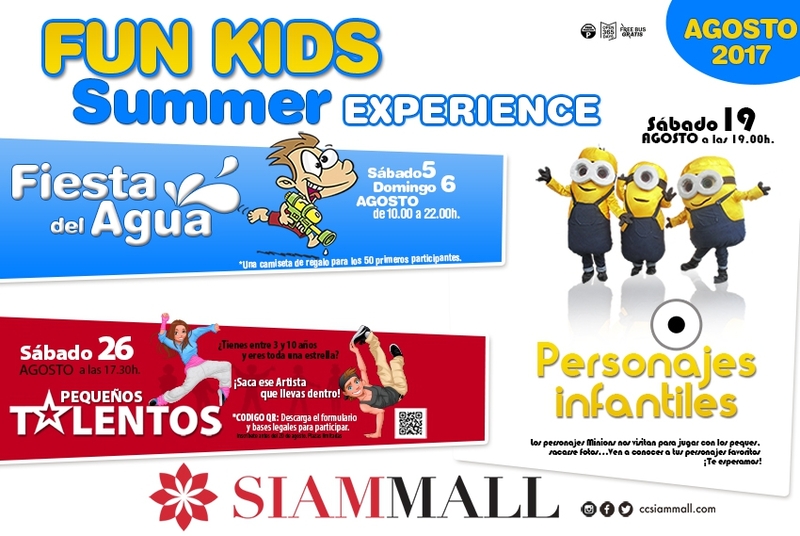 Siam Mall are hosting a whole programme of fun summer activities for children starting on the 5th and 6th August with a water party from 10am to 10pm on both days. There will be a free t-shirt for the first 50 children who join in on the fun and games. On Saturday 19th of August at 19:00 the Minions will be making an appearance at Siam Mall! Pop on down and meet them, take pictures and enjoy a family-orientated. 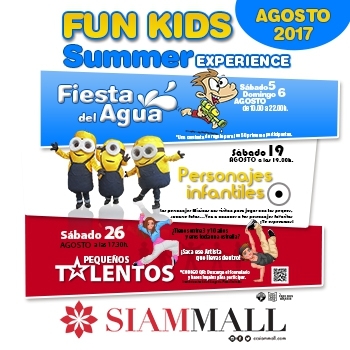 On Saturday 26th of August at 17:30 Siam Mall will be hosting the the “Pequeños Talentos” (little talent) contest, where children between 3 and 10 years of age can take out the artist inside. The judges will choose three winners, but there will be a prize for every participant. Do you want your little one to participate? You can download the registration form at the following link http://bit.ly/2uk5k8q and send a video showing the talent of your child to info@ccsiammall.com. They will receive registrations until the 20th of August!